For more information about the microgreen recall and about listeria contamination, contact the food poisoning lawyers at 1-888-335-4901. Microgreens produced in Canada and sold in the state of Washington have been recalled because they have the potential to be contaminated with listeria. Greenbelt Greenhouse LTD of British Columbia, Canada, has recalled all of its Greenbelt Microgreen products with the best before dates from 4/24/18 to 4/30/18. The affected Greenbelt Microgreens brand microgreens were distributed to Whole Foods stores in Washington between 04/11/18 and 04/24/2018. The recall was the result of sampling performed by the Washington State Department of Agriculture (WSDA), which revealed that the Broccoli Microgreen contained the bacteria. Due to the potential risk of contamination the company has ceased the production and distribution of all products as Canadian Food Inspection Agency (CFIA) and the company continue their investigation into the cause of the problem. The recalled products include 75g packages of Arugula Microgreens, Broccoli Microgreens, Fresh Microgreen Mix, Sweet & Crunchy Microgreen Mix, and Spicy Microgreen Mix. 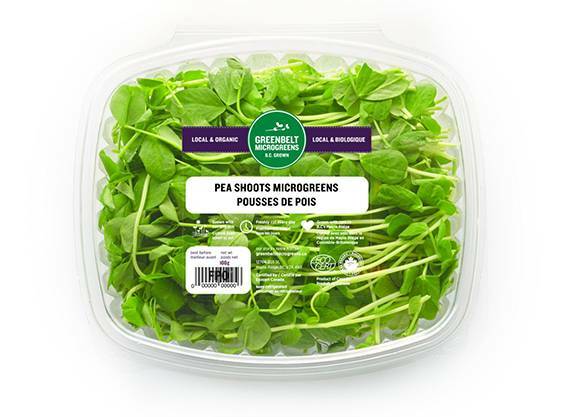 The recall also includes 100g packages of Pea Shoots Microgreens and Sunflower Microgreens. Anyone who has purchased these products should not consume them.